Reds: Red Brandywine (not the pink one! ), Livingston’s Favorite (a canner), Aker’s West Virginia (delicious and disease tolerant), Nepal (salad size from Johnny’s). Radiator Charlie’s Mortgage Lifter tomato. Green: Cherokee Green, Green Giant (great flavor), Aunt Ruby’s (wonderful). Now I’ve had the chance to see Craig’s book, and note down more names! Craig grows tomatoes in pots in his driveway, because he wants so many different ones, and he doesn’t have space in his garden. 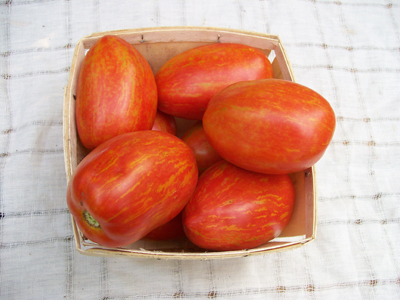 He introduced the Cherokee tomatoes to the public and named them. The chapters of this book include the Origin of today’s tomato; Anatomy of a tomato; Planning and planting; Growing, maintenance and care; Harvest celebration; Saving for the future; Breed your own tomatoes; Questions and answers; Troubleshooting disease, pests and other problems; appendices and resources. The book includes lots of heirlooms and a few hybrids. Craig doesn’t pretend that all heirlooms are great in all ways, and all hybrids awful. He compares traits (although I would have liked more on yield and reliability). His fair assessments give me trust in the claims he does make. Planted throughout the book are various special theme pages. One is the Ten Tastiest Tomatoes, drawn up to look like old-fashioned market chalkboards. The ten featured are Nepal, Yellow Oxheart, Polish, Green Giant, Sun Gold, Lucky Cross, Lillian’s Yellow Heirloom, Brandywine, Cherokee Purple and Mexican Midget. Get the book to read why he chose these. The book starts with the history of wild tomatoes and cultivation and early commercial seed. Alexander Livingston improved many varieties and selected for size, smoothness and uniformity. Thanks to Craig LeHoullier and friends, and the USDA Germplasm Resources Information Network (GRIN) many of these varieties are available today. Examples include Favorite, Magnus, Golden Queen. In the case of long-neglected Magnus, 100 old seeds from GRIN yielded one seedling true to type and one off-type. Craig revived this potato-leaf indeterminate with a fine yield of blemish-free pink half-pound fruit with excellent balanced flavor. In the Anatomy chapter, Craig explains the different shapes, sizes, colors and uses of tomatoes. 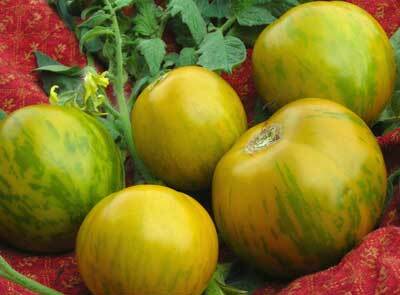 I learned from Craig that tomatoes can have a clear or a yellow skin, which can affect the overall tomato color. Red and pink tomatoes are both red inside, but red ones have yellow skin, while pink ones have clear skin. 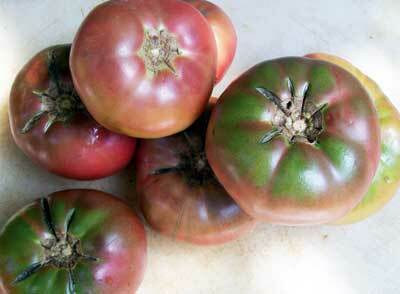 Purple-fleshed tomatoes can look either blackish (clear skin) or brown (yellow skin). There is a chart distinguishing tomato flavors in two dimensions: tart/balanced/sweet and mild/moderate/intense. Sun Gold is sweet and intense; Green Zebra is tart and mild; Abraham Lincoln is tart and intense; Roma is balanced and mild. Something for everyone! Here Craig explodes the myth of the low-acid tomato. The acid level in almost all tomato varieties is very similar. Those that seem more acidic simply have less sugar masking the tartness. Although sweet mild flavored tomatoes are sometimes sold as low-acid, this claim is bogus. I always appreciate people prepared to explode untrue horticultural myths. The next section explains hybrids, Open pollinated varieties and heirlooms (also known as heritage varieties). 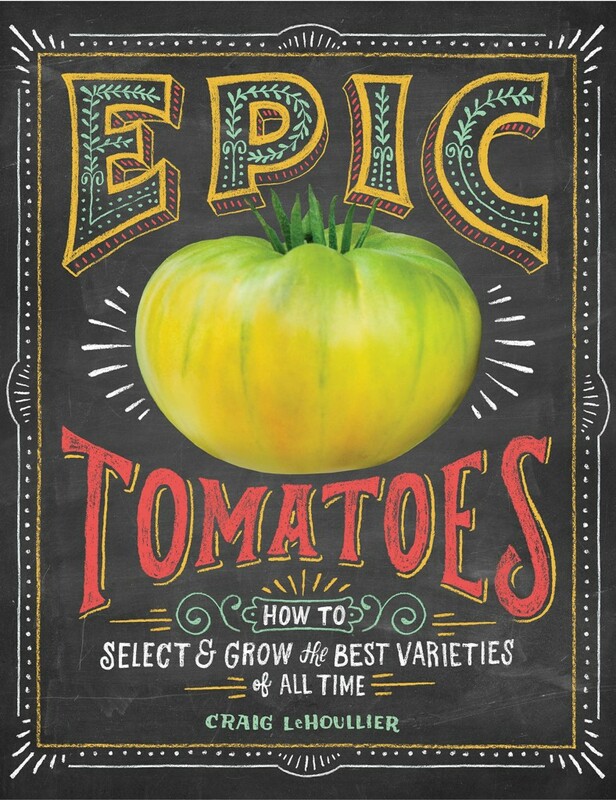 The “Meet the Varieties” section tells the story of some tomatoes that have been important to the author, including some that changed his gardening life! (Anna Russian, Tiger Tim, Ruby Gold). Then we move on to explanations of growth habit (determinate/indeterminate/dwarf). Indeterminates grow all season and have lots of foliage, allowing for high levels of photosynthesis and higher sweetness and flavor potential. Most determinates have less flavor potential as a result of the limitation of their size and foliage:fruit ratio. Craig is working on a Dwarf Tomato Breeding Project to bring out more good dwarf varieties for container growing. They have thick stems, crinkled dark green leaves and a high foliage:fruit ratio, with the potential for great flavors. The DTB Project has added 17 new varieties to the pre-existing handful. In the planning and planting chapter (which I admit I skimmed over), the author suggests sowing 2 months before your chosen plant-out date, and potting up or spotting into bigger containers one month before plant-out date. This is to avoid producing stunted leggy plants by starting too early, or being tempted to plant out before the soil and weather have warmed enough. He convinced me to check my dates. 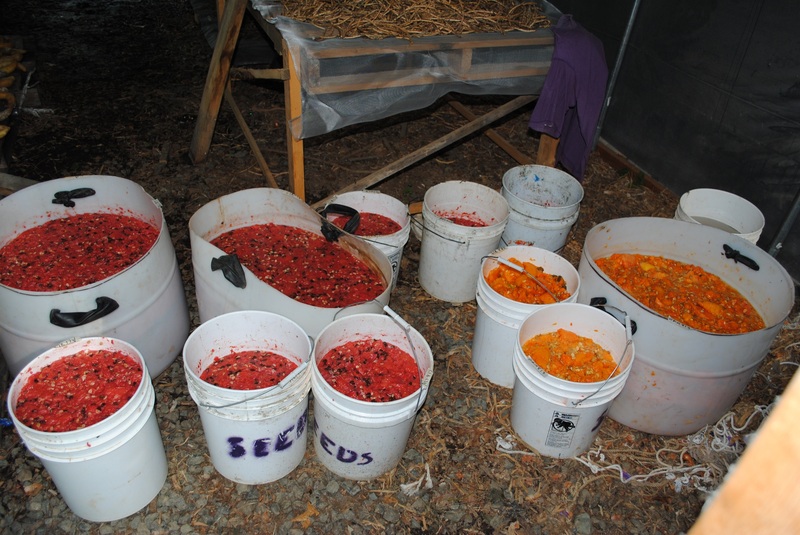 There are good photos of growing seedlings, and a good tip that tomato seed (if kept cool, dry and dark) can keep for 10 years, even 14. But not longer. It was reinforcing for me to read his pruning tips. Craig lives in North Carolina, so his advice works for me in Virginia. In our climates we do not prune determinates. We don’t prune indeterminates much either, because we don’t want to reduce fruit potential or expose fruit to risk of sun scald. If necessary we cut the tops off the plants with shears, to maintain a workable/supportable height. 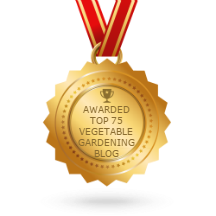 I know life in colder climates is very different (I’ve lived in them myself), and pruning greenhouse tomatoes to get the best from them in the short season is an important part of management. Most sources don’t recognize that different climates grow differently-behaving tomato plants! Craig explains when and how to pick, for each tomato color group, and how to can, freeze, dry and make sauce. I like this book because of the visual as well as the reliable information. The photos are attractive, actual fruit. The layout of the book is lively, with the various color-coded theme pages spread throughout. 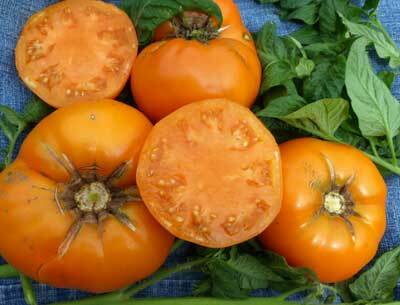 Next we read about how to breed your own tomato varieties in one of three ways. First is to choose one plant that particularly appeals to you for a clear reason, from a standard planting. Grow 25-100 plants from seeds of that plant. Save seeds from the best plants. Repeat for a few years until all plants are uniform and include the trait you selected for. Method 2 is for when you notice a random sport or mutation in a seedling. Put an isolation cage around it before it flowers. If you like the fruit, save seed. Good documentation is vital. Decide what traits to select for. It can take 6 generations to stabilize a variety. The third method is to save seed from a hybrid and develop a stable OP variety from that. Craig calls this dehybridizing, but I don’t like that word as it implies you are untangling something already existing, when in fact you are creating something new from that genetic material. Grow 8-10 generations to get a new stable variety. Third is to deliberately cross two Ops you like with a particular goal in mind. Remove the pollen from your designated male parent, dab it onto the pistils of the designated female parent plant. Tag the hand-pollinated flowers and save seed. Next year grow out lots of this seed, note the characteristics. Save seed from each plant that aligns with your goals. Repeat for 6 more years, then you can name your new variety. 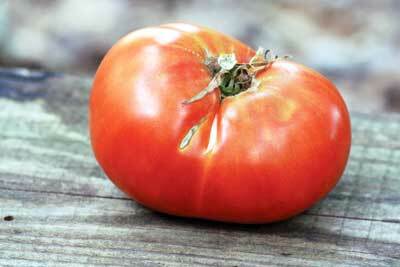 The Q and A chapter explores tomato-related myths. The heirloom varieties he grew in a detailed study at least equaled the performance of most of the hybrids in his study. Just because a “Tomato Potato plant” exists doesn’t mean there’s a good reason to grow it! Yes, you can start tomato seedlings indoors in the winter, but don’t do it unless you have somewhere with the right conditions to continue growing it. Early start + sudden shockingly cold outdoor planting = stunted plant, poor yield. 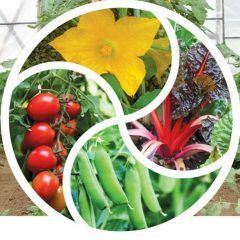 Many more tall tales are unraveled: how cross-pollination really works, whether you get help from using fans, sticking copper wires through the stems, deliberate injury in hope of triggering plant defenses, using grow lights non-stop, pruning to increase fruit size, mulching to improve disease resistance, planting by the phase of the moon, and many, many more. After the myths comes the real scoop on pests, including insects, voles, groundhogs, birds and deer. He recommends the Water Scarecrow to send the deer scurrying. I’m going to try it. Craig is good at explaining the difference between resistance and tolerance when it comes to diseases. His main approach is to grow strong plants and remove the sick ones. He stresses the importance of good sanitation, including removing diseased foliage while the there isn’t much of it. Good disease ID is important, before spraying anything. 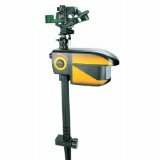 His list of 7 natural control options includes copper compounds, sulfur, baking soda, neem oil, horticultural oils, tea tree oil and actinovate, a biological fungicide. A user-friendly trouble-shooting guide follows, with some good photos. There is a wonderful 18 page list of 250 Recommended Tomatoes, listed by color, with explanations of flavor, both along the tart/balanced/sweet spectrum as well as the intense/mild range. Something to drool over! The appendices include regional growing tips, results from a 1987 variety trial, resources and sources, glossary, and more. My uncorrected proof didn’t yet have its index, or page numbers. Your copy will have these, all you need to really enjoy this beautiful book. Print out this review and leave it where someone likely to buy you a gift will see it. It will be the perfect winter cheer! And the enjoyment will then last all year. You can pre-order here. December 10, 2014 is the release date. If you are interested in reading my other book reviews, click on “Book Reviews” in the list of categories at the lower left of the page. Next Next post: Cold-hardy vegetables, carrot harvest, maybe snow on the way.